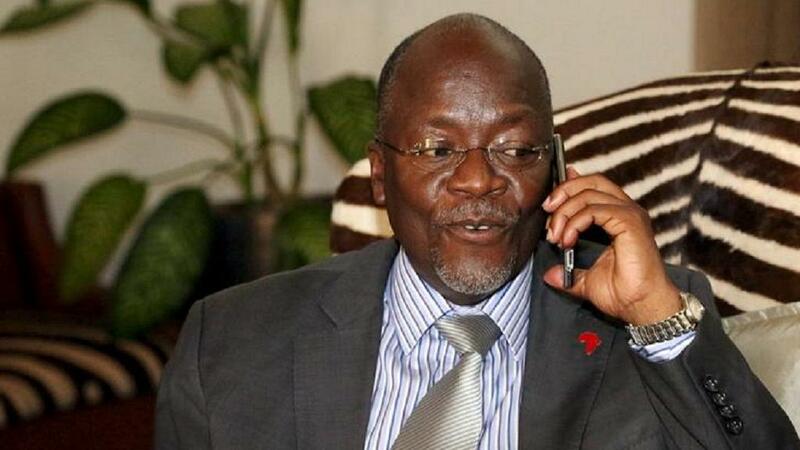 DAR ES SALAAM – Tanzania’s president, John Pombe Magufuli explained some of the reasons behind changes in his cabinet, as announced on Tuesday, saying he had been aided by the fact that he monitors his ministers’ telephone conversations, reports Africa News. In the mini-cabinet reshuffle, the President promoted Dotto Biteko to head the Minerals ministry where he was serving as its deputy. Biteko’s now ex-boss, Angella Kairuki was moved to the Office of the Prime Minister as the Minister of State for Investment. Some of the changes informed by Magufuli’s ‘spying’ scheme, were the move of Dr Zainab Chaula from the local government to health ministry. Chaula replaced Dr. Mpoki Ulisubisya as the Health permanent ministry, while the latter has now been appointed as an ambassador. “When I tracked the telephone message communication between the Minister of Health and Dr Chaula, I noticed a strain in their working relationship. So to make their quarrels come to a stop, I decided to place them under the same ministry,” Magufuli said after the reshuffle. The president, who was speaking during the swearing-in ceremony of newly appointed cabinet members, permanent secretaries and other senior officials at State House, Dar es Salaam, called for an improvement in working relations. Magufuli added that he was also watching out for quarrels that emanate from decisions made by his government. “I am watching them. This should stop,” he warned.